Painfully slow though it might seem, the tangible improvements in the economy are predicting greater consumer confidence when it comes to this year’s Back-to-School season. 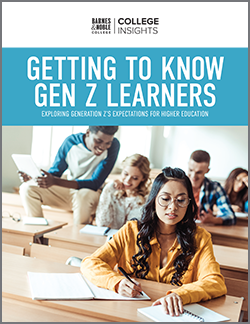 Total spending for K-12 and college is expected to reach $68 billion, according to this year’s analysis by the National Retail Federation (NRF), that found plenty of reason to be optimistic as students and parents open their wallets for a new season of textbook and school supply needs. 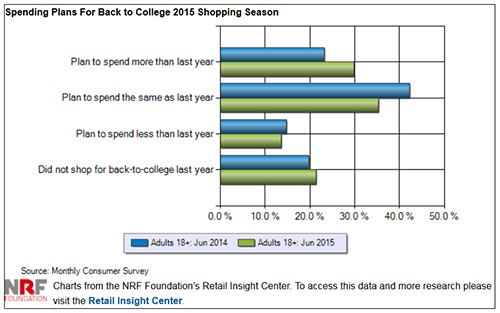 The new NRF poll of 6,500 consumers was conducted between June 30-July 8 by Prosper Insights & Analytics, and the resulting 2015 Back-to-School and Back-to-College Spending Surveys provide insight into the current temperature of consumer behavior and shopping trends related to K-12 and college spending. Compared to last year’s survey, this year the NRF reports that 40.6 percent of respondents admit that the economy is impacting their spending plans enough to look for more sales opportunities, down from the 46.2 percent last year, and the lowest since NRF first began tracking that figure in 2009. Additionally, only 29.8 percent will be looking for more generic or store brand products, down from 34 percent last year – another survey low. Overall, the survey found that 76.4 percent of families with school-age children say they will change their spending habits because of the economy, the lowest in the seven years NRF has been tracking it, and down from 81.1 percent last year. The bigger picture the survey paints is for continued growth in the back-to-school arena, with families on average, spending 42 percent more on school items over the past 10 years. 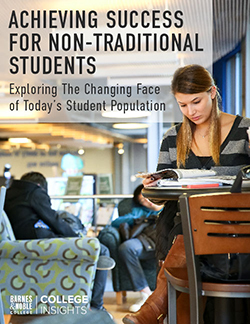 Despite that economical approach to spending, nearly three in 10 college students and their families plan to spend more this summer, up from 23 percent who said they’d be spending more when asked the same question last year. 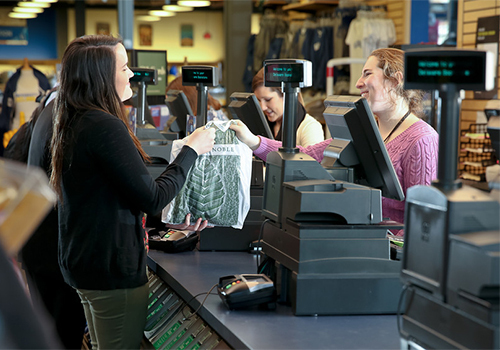 That positive outlook in planned spending means that retailers’ back-to-school season — second only to the winter holidays in terms of traffic and sales — could bring a welcomed boost, with college sales reaching $43.1 billion. For the first time, NRF asked shoppers about their intended use of retailers’ omnichannel offerings. Of those respondents planning to shop online, nearly half (48.4 percent) say they will take advantage of retailers’ ‘buy online, pick up in store or ship to store’ options, and 17.3 percent will look for expedited shipping offers. Nine-in-10 (92.1 percent) will take advantage of retailers’ free shipping offers. “Savvy and budget-conscious parents today have plenty of experience when it comes to looking around for great deals and value-add promotions, and it seems mom and dad will use that to their advantage this summer to take advantage of retailers’ omnichannel services,” said Prosper’s Principal Analyst Pam Goodfellow.